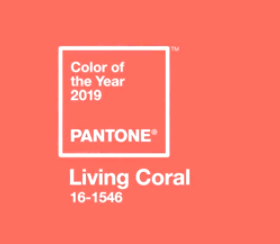 Living Coral has been announced as the Pantone colour for 2019. It’s a colour that looks fabulous in a full length dress, a t-shirt or a jumper. And of course Living Coral works well as an accent colour with blues and purples.